The recent National Sky Signage Rebrand, commenced in 2011 with a rigorous tender process conducted by AMP, following which First Neon was awarded the contract to carry out their National Sky Signage Rebrand with design development, Local Council Authority submissions & consents, final production documentation followed by manufacture, installation & commissioning. 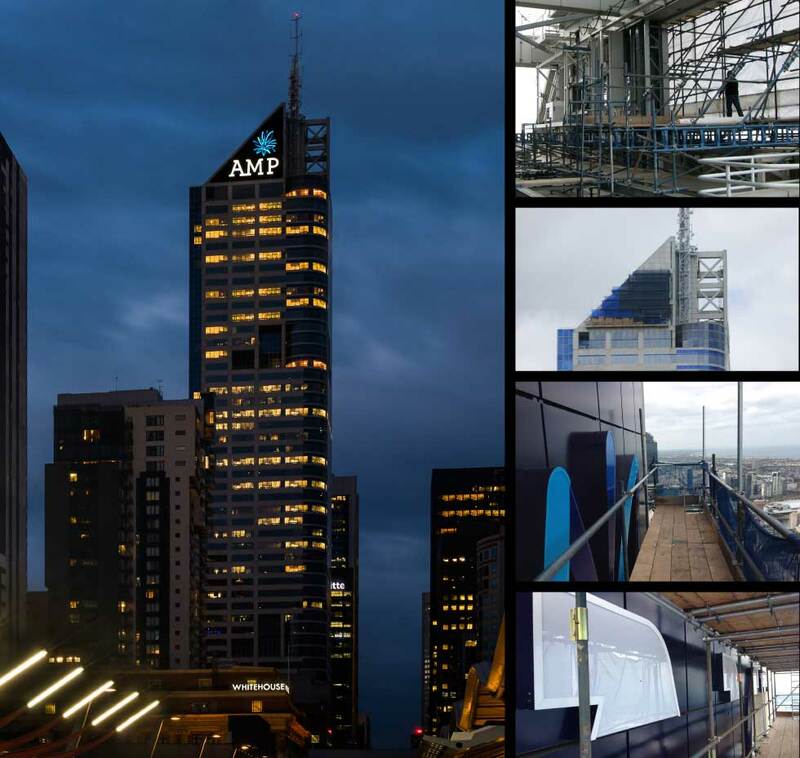 The rebrand incorporates 20 new rooftop Sky signs, the largest being 20m in height sited at the top of a 55 storey office tower in Melbourne.The project took 2 years to complete & has now entered the ongoing maintenance phase. Over the last 30 years First Neon have been responsible for the design, manufacture & installation of more than 180 rooftop sky signs around Australia for many different companies, some of which are still in situ today & being regularly maintained by First Neon. Peter and his company First Neon, have been engaged over a long period – to provide supply, maintenance and consultancy services for our national roof signage portfolio. I have only praise and positive encounters to report, Peter himself is a man of integrity and reliability with years of industry knowledge – when asked, I have had no problem, or reservation in the slightest, in recommending him to others. 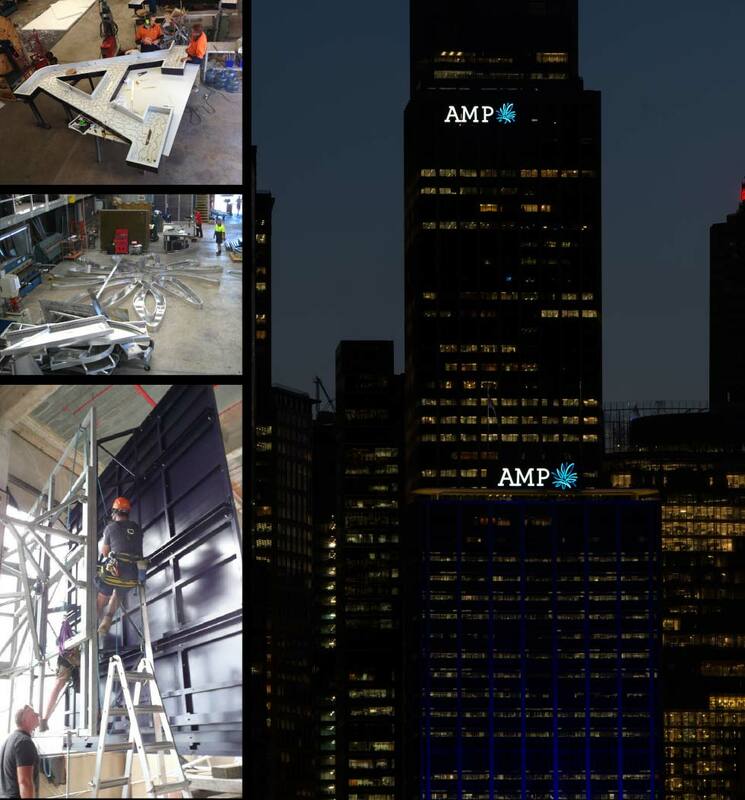 Thank you for your commitment and expert attention to detail during the AMP Tower Olympic Monument project. 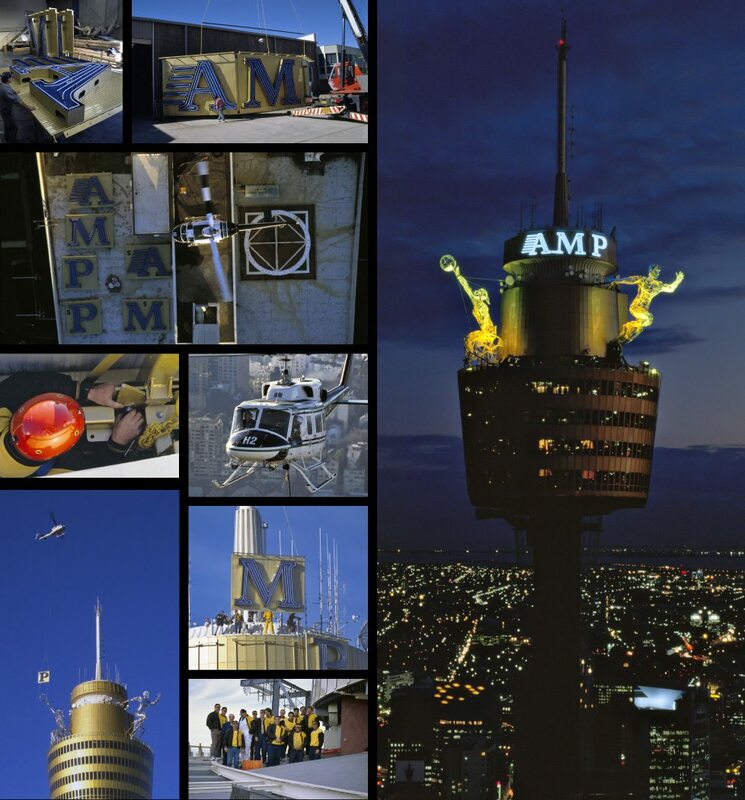 Through the various design, structural and scheduling changes, First Neon remained committed and always provided prompt responses to AMP’s demands. 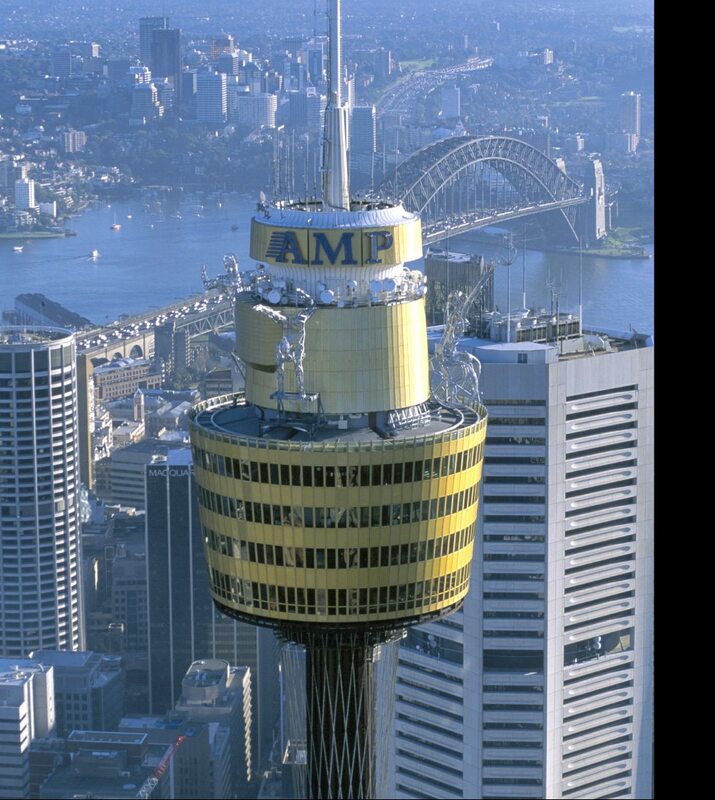 AMP was very conscious of the sensitivities of placing logos on the tower. First Neon provided excellent design advice throughout and implemented signs which performed well under both daytime and night-time viewing conditions.